The range of used Mercedes-Benz for sale at RAC Cars offers a variety of the sporty car so that you have plenty to choose from. This car fared very well on its introduction, changes have been made over the years, contributing to the wide range of used models available. These changes included a revamped front bumper set, an interior makeover and several minor alterations to the engines. While the bigger Mercedes coupes that date back to the early 80s now tend to appear a touch blousy, but this model still remains a picture of classical purity. This meant replacing the car was always going to be a tough task. 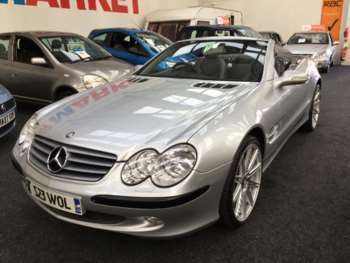 Fortunately, the newer Mercedes SL for sale had quality in spades. Teasing swages and flop lines blend perfectly with the curves, each of which seems to melt into the next. If you decide to go for one of the more powerful models, you will have landed yourself a supercar that nonetheless offers accoutrements that most luxury saloons would be proud of. 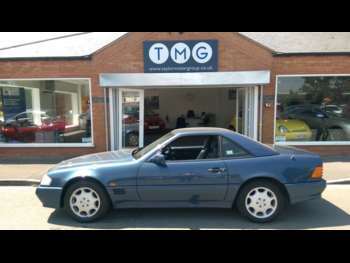 In fact, many insist this is the finest Mercedes SL ever. Mercedes not only took measures to make the car cleverer, quicker, cleaner and safer than the previous models, but they also went a long way in improving the dynamics. With lighter bulk, due mainly to the aluminium body panels and the amazing ABC system, the car is simply fantastic in terms of handling and cornering. Our top range used Mercedes-Benz SL Series models can go from 0-60 in only 4.7 seconds, whilst the torque figure of 700N allows the car to reach a top speed of around 155mpg. Got a specific Mercedes-Benz SL Series model in mind?